When diabetes gets out of control, it can take a toll on your body. Too much sugar in your blood can damage nerves and blood vessels, which can lead to many different types of problems. But those complications aren’t set in stone for everyone with diabetes — there’s a lot you can do to avoid them. Along with treatment, good health habits can help you keep your disease under control and keep other troubles at bay. • Cataracts. The lens of your eye gets cloudy. • Glaucoma. This damage to the nerve that connects your eye to your brain keeps you from seeing well. • Retinopathy. This involves changes to the retina in the back of your eyes. Heart. Years of high blood sugar may harm your body’s blood vessels. That raises your chance of having heart disease, which can cause heart attacks or strokes later on. High blood pressure and high cholesterol make the problems even more likely. Kidneys. Diabetes can affect blood vessels in your kidneys, too, so they may not work as well. After many years of trouble, they might stop working. Feet. 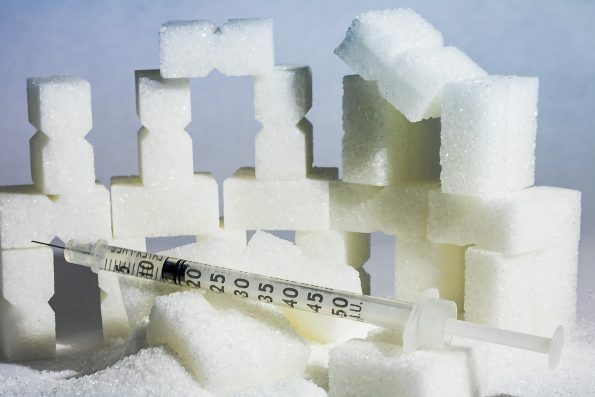 High blood sugar can harm blood flow and damage nerves, and that may cause cuts, scrapes, or sores to heal slowly. You may lose some feeling in your feet, which keeps you from noticing injuries that can get infected. If an infection gets serious, it might mean you need to have a foot removed. Nerves. If high blood sugar damages your nerves, called diabetic neuropathy, you might feel pain, tingling, or numbness, especially in your feet. Skin. Diabetes may make you more likely to have yeast infections, itching, or brown or scaly patches. Erection problems. Men with diabetes may be at risk for sexual problems because high blood sugar can harm blood flow and damage nerves that the body needs to get and keep an erection.